Personalised Usher Gift Wallet Card Keepsake. 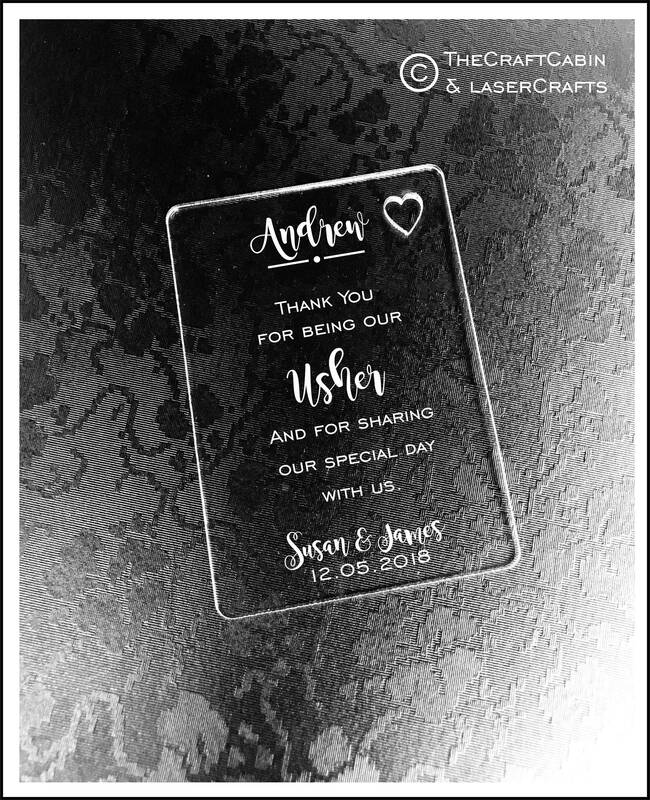 Engraved Card for Thank You Gift for Usher at Wedding. Ideal Special Gift for Groomsmen. 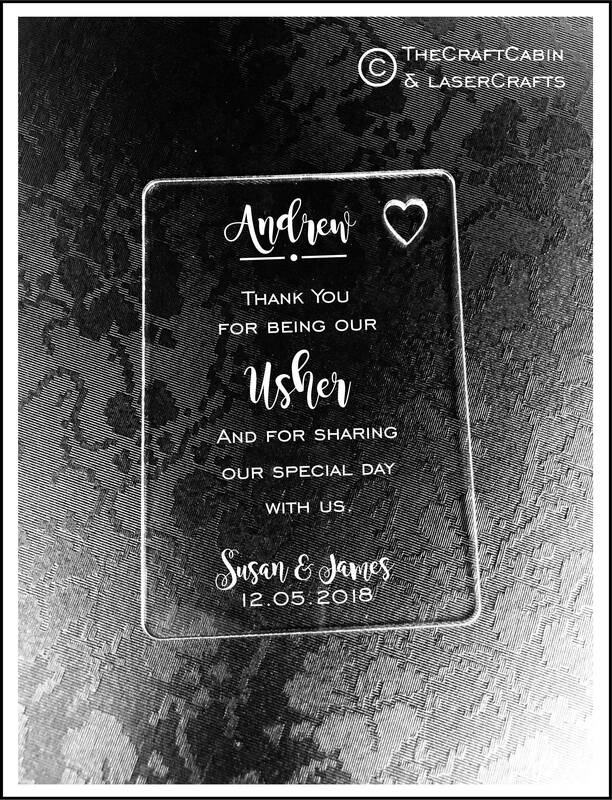 Beautiful Usher Gift, cut & engraved on high quality Acrylic. Personalised Wallet Card.